Outside of the ESPN Wide World of Sports Grill at the ESPN Wide World of Sports Complex there is a new D-Tech On Demand Station. 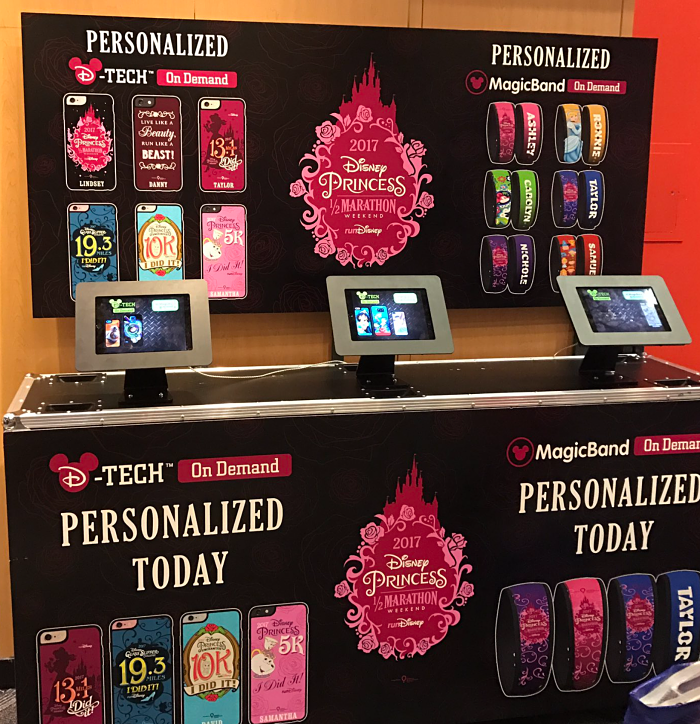 Guests can purchase customized MagicBands and personalized phone cases from this station that features designs and logos of the Princess Half Marathon, Glass Slipper Challenge, the 10K, and the 5K logos, among other options. Currently, it is unknown whether or not this D-Tech On Demand Station is permanent, but we will surely give the details when we find out.